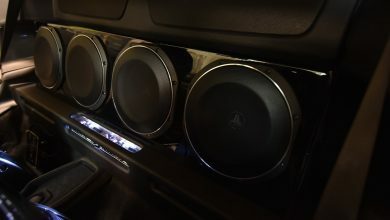 In this article, I will explain in detail, how you can install component speakers in the car. But before going into that step by step guide, let me briefly write about component speakers. Best component speakers come in a variety of configurations, you can go for 2-way or even 3-way speakers. Select that suits you best. These speakers come with features of bi or tri-amplification of the system with are directly connected to different speakers component. Performance of speakers is yet another important feature to be considered. You need the best speaker with quality performance and with the best price. To understand how quality sound is produced you must understand the power handling mechanism of speakers. Normally it is measured in watts. Similarly, RSM means the amount of continuous power that a speaker can handle. Quality component speakers come with good frequency range and they have the ability to manage many forms of sound waves. Thus ensuring quality sound is being produced. Best component speakers come with tweeters that have a frequency range of 2000 Hz – 20000 Hz. Similarly, subwoofers come with the frequency range of 20 Hz – 200 Hz. Now let me tell you about crossovers. High-quality component speakers use external crossovers to deliver quality sound with zero distortion. 1 How to Install Component Speakers in Car? How to Install Component Speakers in Car? Here is the complete guide for installing component speakers in the car. 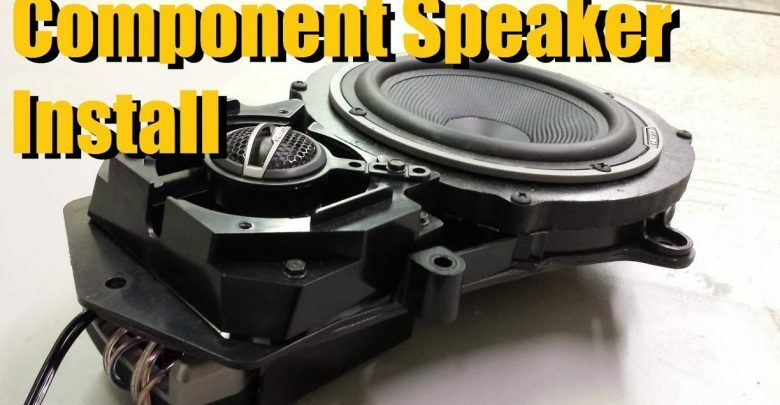 For this, you must know what are the different parts of component speakers. Component speakers are different in technology and features than regular speakers or full range speakers. Component speakers use different audio equipment, you must be familiar with all of them for proper installation. For installing woofers, you must access your car properly and also your audio system for compatibility. Woofers can be ideally placed on doors or kick panels. Go for the easy fit option, drill separate holes for screws, cut through panels. You will need patience for proper fitting, never rush in any scenario. For installing tweeters, you will be amazed at how easy the process is. Normally tweeters can be fitted at dash or side doors. A little modification may be required for proper tweeters installation. Place them in best possible direction for top quality sound. For installing subwoofers, it’s better to access your car again for proper space availability. Also for quality sound production, it is better to select speakers and amplifier that match in RMS ratings and are compatible with your system. You don’t that once you have installed speakers and then you come to know about any sort of issue. Proper wiring is essential for smooth functioning and to prevent any electrical hazard. It is better to read instructions manual that comes along with the speakers for the proper understanding of the wiring. Add amplifier wiring to batteries for power supply and finally connect the power cable to batteries. All these sequences must be followed as mentioned. you don’t want any electric problem for your car. 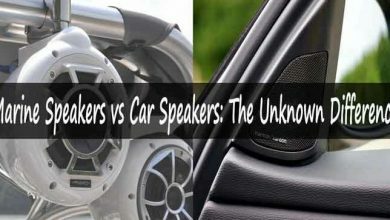 These speakers if not connected properly may harm your car batteries. Next, comes the process of crossovers installation. First select the suitable location, ideally, it should be placed between the space of receiver and the amplifier. The location should be easily accessible for any maintenance or adjustments. Read this guide if you are planning to add Bluetooth to car. Attach crossover and tighten it with proper screws before installing wires. Make proper grounding with bolts, fix the connection for the amplifier and check leads carefully before assigning them. Finally, attach the component to the receiver via port and wrap with electrical tape. Like other electric equipment, you must disconnect the cables from the battery to avoid any accident while installing the speakers. Keep all required tools within your range. Measure the speakers with accurate instruments, you will need exact dimensions of speakers to drill hole properly. If you need to fit speakers in a proper manner, don’t make a mistake measuring the diameter of speakers. Always come ready with proper tools and kits required for installation of best car speakers. Disconnecting car batteries is extremely important step while you plan to install your car speakers. There is a long list of things that could go wrong if you let batteries remain connected during the entire process. Most common location of a component speaker system is the side doors. So you have to remove the door panels in order to install the best car speakers. You must be very careful while removing door panels as there is a variety of wires that may be present there. So avoid touching any extra wire and be very careful while you install car speakers. Always prefer good quality wires and cables. The low-quality material can damage your entire sound system. Before finally putting things back, perform a test track and if everything goes as planned than fix all interior back and get ready to enjoy your music. 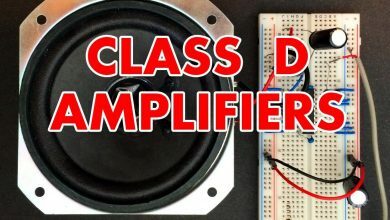 I have just posted another article on class d amplifiers and focused on the advantages and disadvantages of class d amplifier. At Stereo Authority, we always prefer quality over everything. For the best possible sound, I would strongly recommend a component speakers system. Now the beauty of the component speakers is that they come with separate sets of tweeters and subwoofers, that may increase workload at the time of installation. But let me assure you, once you are done with proper installation and adjustments, you will always appreciate your decision. Component speakers use separate drivers with added crossovers. External crossovers help frequencies to be divided into different segments and then forwarded to tweeters or woofers accordingly. Component speakers deliver neat tone with better and improved sound quality. I know how people feel when it comes to music, with these best component speakers, you will never have a second thought again.